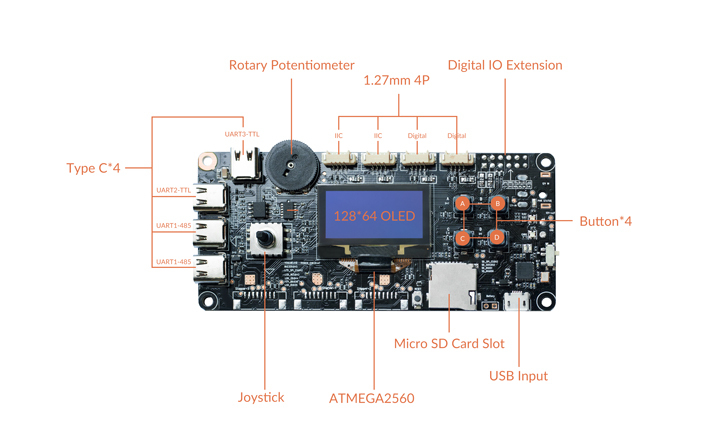 This open-sourced controller board is designed for uArm Robotic System. 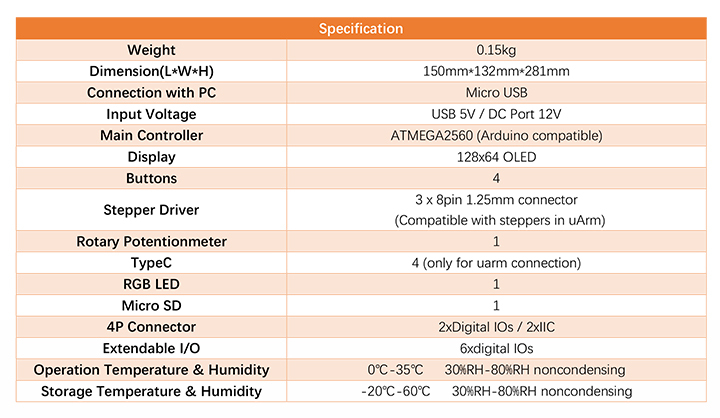 It enables you to control more than 2 pieces of uArm and add-ons at the same time with various hardware peripherals such as Digital IO Extension, Micro SD Card Slot, USB Input, Type C, etc. And it supports C/C++ programing language under Arduino IDE. It is designed as a motherboard for the uArm Robotic System. 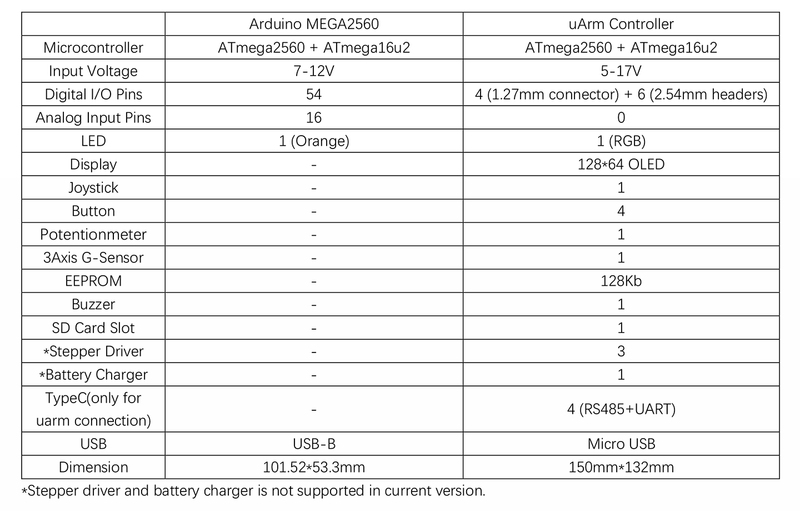 With this controller, you can control multiple uArm Swift Pro as well as connected with other accessories like the laser kit or vision kit; something you can't do with other motherboards. Unlike other motherboards for uArm and other hardware, this controller is a shortcut to bypass all those complicated algorithm works! 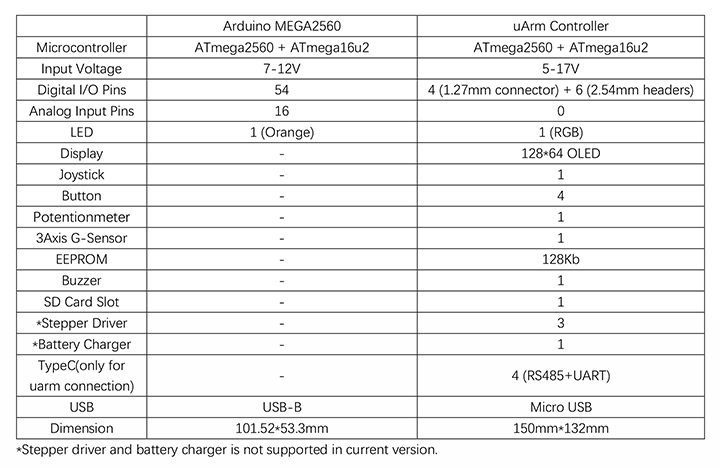 Simply plug it in the board, select “Arduino MEGA2560” from the board menu and upload the code to start your project. It supports multiple hardware peripherals including the Digital I/O Extension, Micro SD Card Slot, USB Input, Type C, buttons and more. 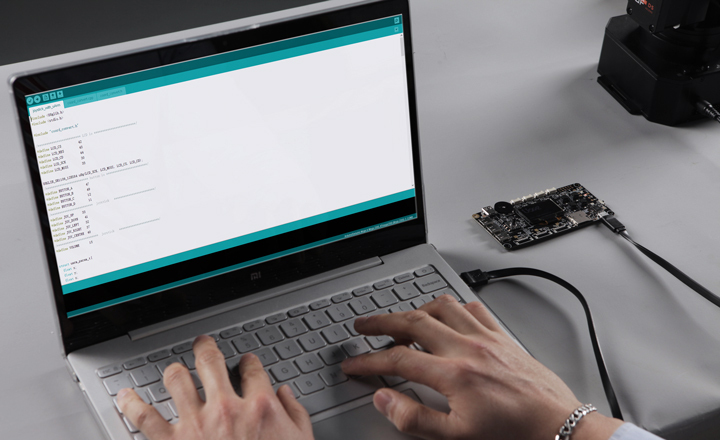 With the these I/O Extension, you can easily get real-time updates of your project without hooking it up to a PC. 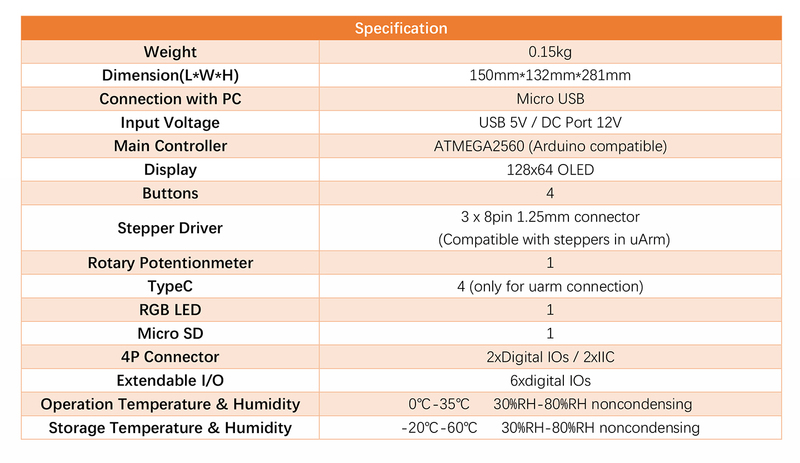 The uArm controller is not only designed for uArm robotic system. It could also be use to meet your daily DIY needs. It features buttons and various sensors to transform your controller into a joystick for Snake. It is designed as a motherboard for the uArm Robotic System. 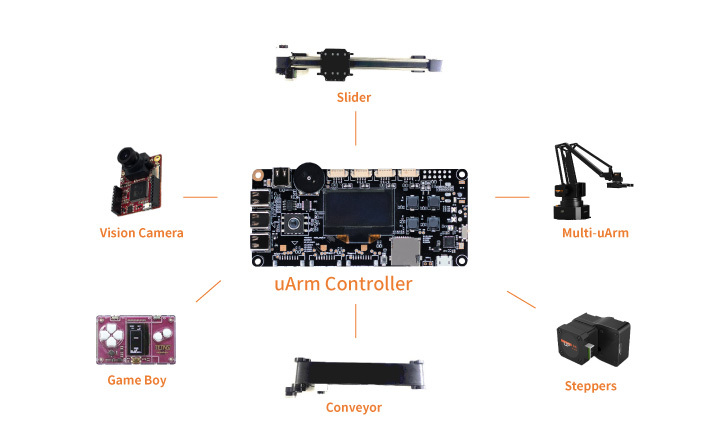 With this controller, you can simply control 2 of the uArm Swift Pro Main body, and also connected with the other accessory kits like the laser kit or vision kit etc. at the same time which you can not do through other motherboards. It supports multiple hardware peripherals including the Digital IO Extension, Micro SD Card Slot, USB Input, Type C, buttons and more. With the Digital IO Extension, you can easily get real-time updates of your project without hooking it up to a PC.